Distinguished by the beauty of its landscape, collections, and gardens as well as the scope and excellence of its programs in horticulture, education, and science, the New York Botanical Garden is unique among museums and public places in America. Home to great botanical collections, NYBG possesses a wealth of resources that can be utilized in the fight against invasive species. 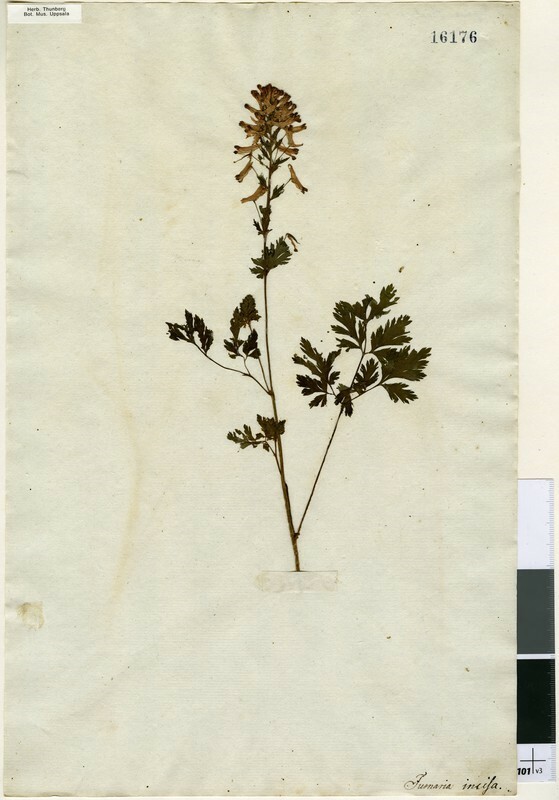 Recently, NYBG staff, using the resources of the William and Lynda Steere Herbarium and the LuEsther T. Mertz Library, have been working to raise awareness about an emerging invasive known as Incised Fumewort (Corydalis incisa). 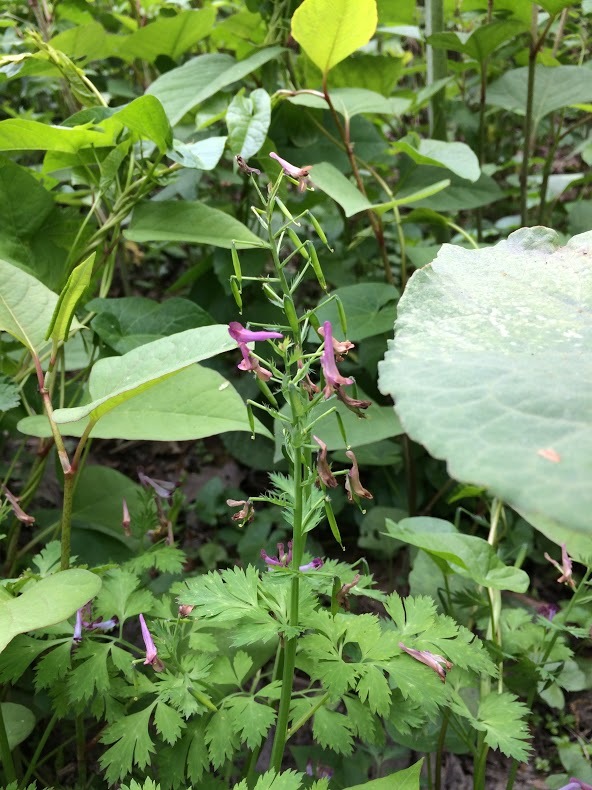 Currently, the latest threat to our gardens, forests and wetlands, Incised Fumewort, is known from a limited number of populations in New York, Pennsylvania, Maryland, Virginia and the District of Columbia. 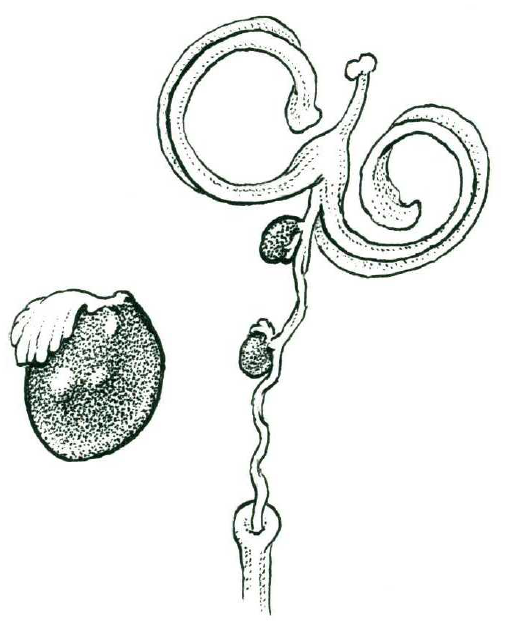 Incised Fumewort readily escapes cultivation, spreading by seed explosively ejected from the fruit. The plants form dense stands, carpeting an area within a few years and crowding out more desirable species. 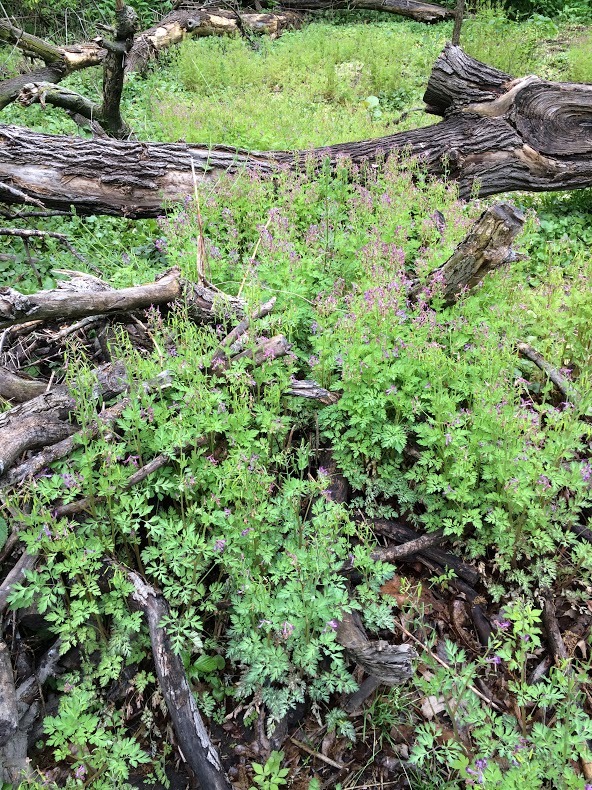 Type of Corydalis incisa housed in the Thunberg Herbarium at the University of Uppsala, Sweden (UPS). 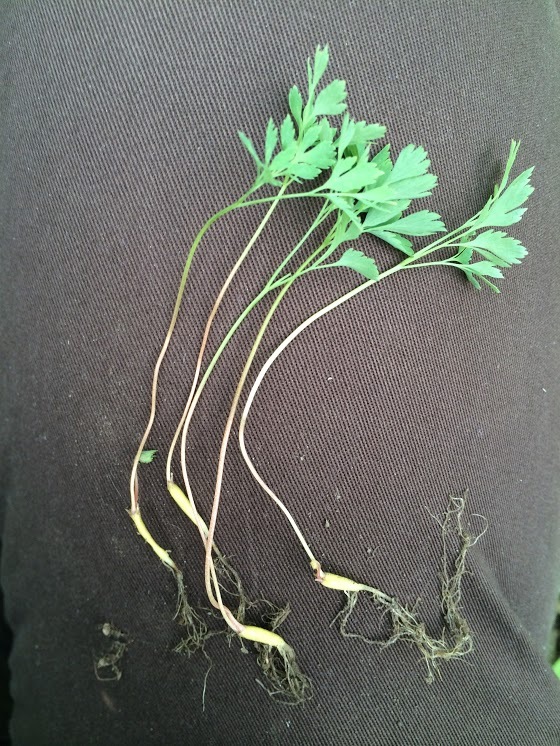 Incised Fumewort (Corydalis incisa) is an annual or biennial herb native to forests, clearings and irrigation channels in Japan, Korea and China. 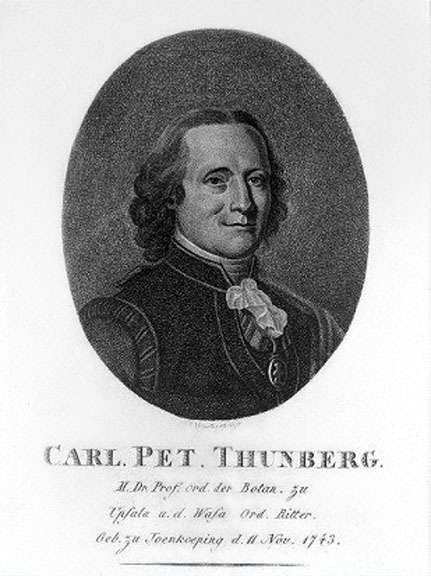 Karl Peter Thunberg (1743–1828), a surgeon with the Dutch East India Company was the first westerner to collect and describe the species using the classification system of his former teacher, the great Swedish naturalist Carl Linnaeus. Carl Peter Thunberg | Digital Image | Wellcome Library, London | Stipple engraving by C. Westermayr. n.d. Largely confined to the Dutch trading post on the island of Deshima near Nagasaki, Thunberg bartered his knowledge of Western medicine in exchange for natural history specimens. After a little more than a year as head surgeon, Thunberg left Japan and returned to his native Sweden. In 1784 Thunberg published Flora Japonica, the first detailed account of the plants of Japan. 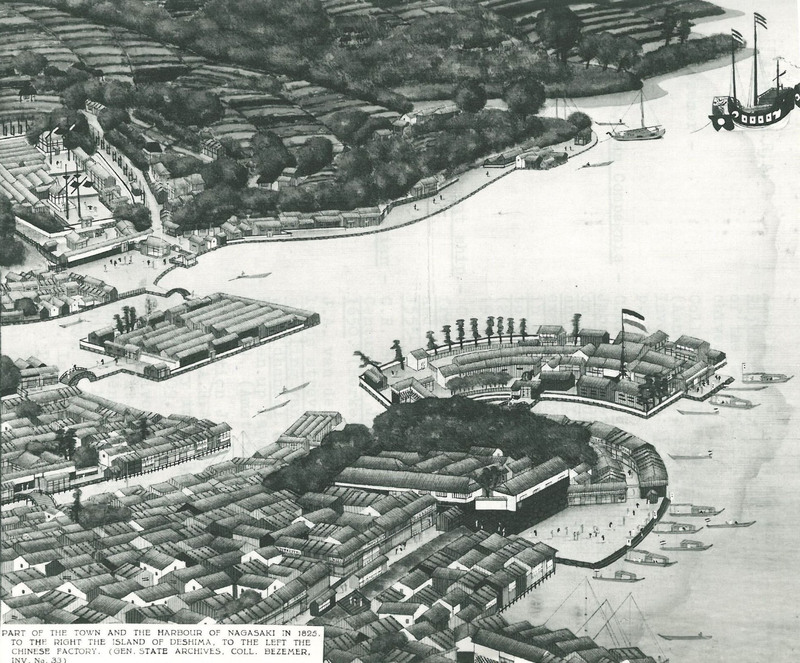 Town and Harbor of Nagasaki in 1825 | Digital Image | from Inventory of the Archives of the Dutch Trading Company [or: Factory] in Japan at Hirado [1609-1641] and at Deshima [1641-1860], 1609-1860. | By M.P.H. Roessingh | National Archives, The Hague, 1964 | Island of Deshima to the right. 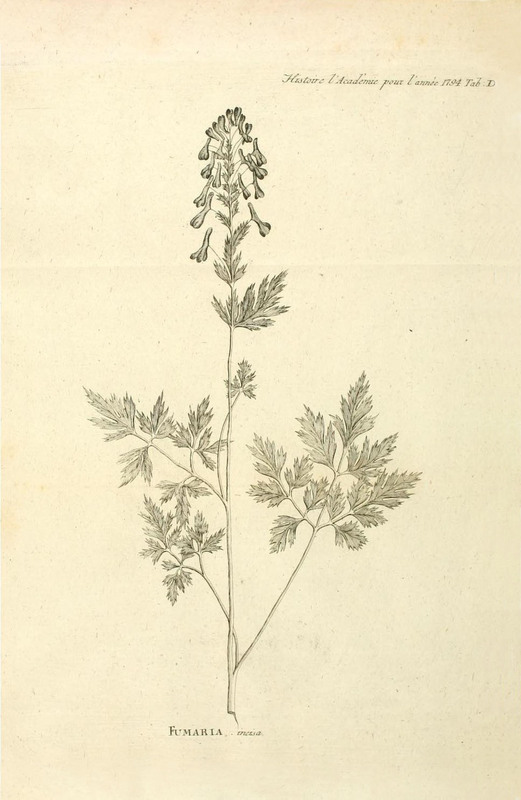 As he worked through the nearly 28,000 plant specimens acquired during his nine-year voyage to South Africa, Japan and various ports in between, Thunberg discovered and published nearly 2,000 new plant species, including Corydalis incisa, which he published as a species of Fumaria in the Russian journal, Nova Acta Academiae Scientiarum Imperialis Petropolitanae. Praecedit Historia ejusdem Academiae (abbreviated as Nova Acta Acad. Sci. Imp. Petrop. Hist. Acad.) in 1801. In addition to plants, Thunberg described over 1,500 new species of insects and published 160 zoological papers. 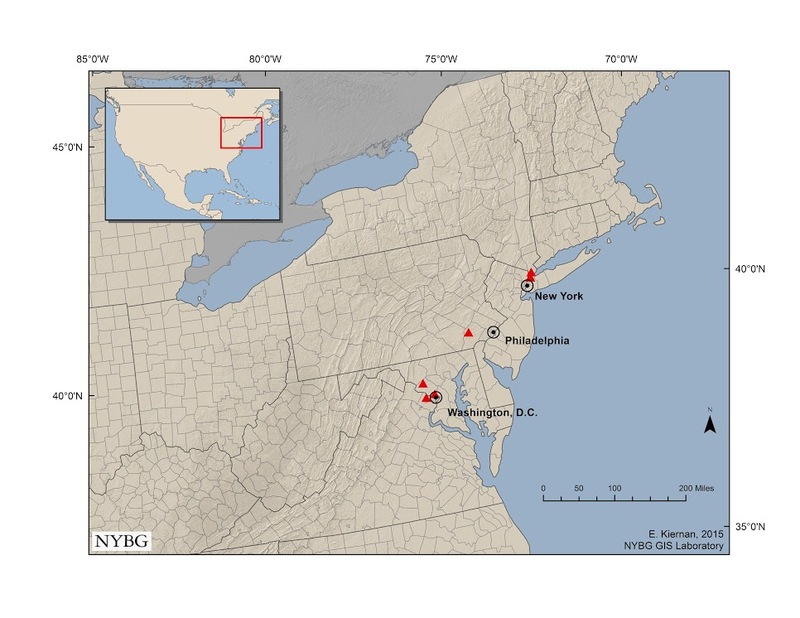 In 2014, NYBG staff members Daniel Atha and Jessica A. Schuler, along with Sarah Lumban Tobing of NYC Parks, reported detection of Incised Fumewort in both Bronx and Westchester counties. The population in Bronx County, discovered in 2005 by NYBG graduate student Michael Sundue, was the first reported population in North America, with the population in Westchester County being the second. After publication of these occurrences in the journal Phytoneuron and a NYBG Science Talk blog post, other sightings and collections were sent to NYBG, expanding the known range of the species and adding a sense of urgency to outreach and management efforts. Atha, D, J.A. Schuler, and S. Lumban Tobing. 2014. 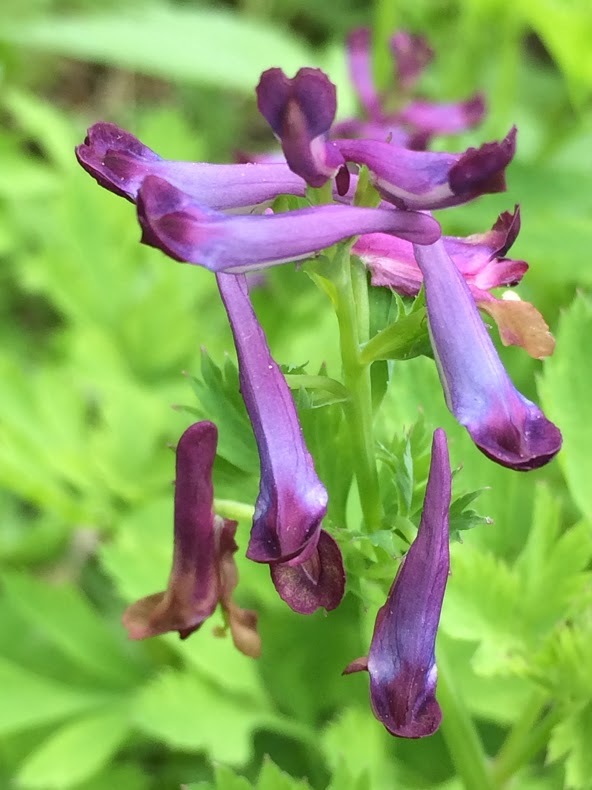 Corydalis incisa (Fumariaceae) in Bronx and Westchester counties, New York. Phytoneuron 2014-96: 1–6. 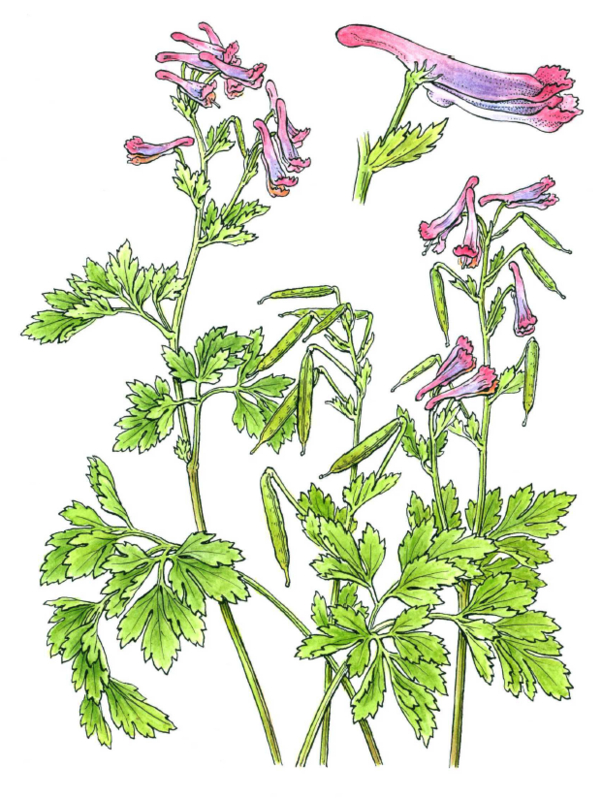 Corydalis incisa (left) & | Watercolor and ink | Bobbi Angell, 2015 | Drawn from living material collected in the Bronx, New York | From the Collection of the LuEsther T. Mertz Library | Artwork commissioned for the Invasive Species Summit held at the New York Botanical Garden, November 6th, 2015. Corydalis incisa (right) | Pen and ink | Bobbi Angell, 2015 | From the Collection of the LuEsther T. Mertz Library | Detail of an exploded fruit (left) and enlarged view of a seed (right). Not to scale. 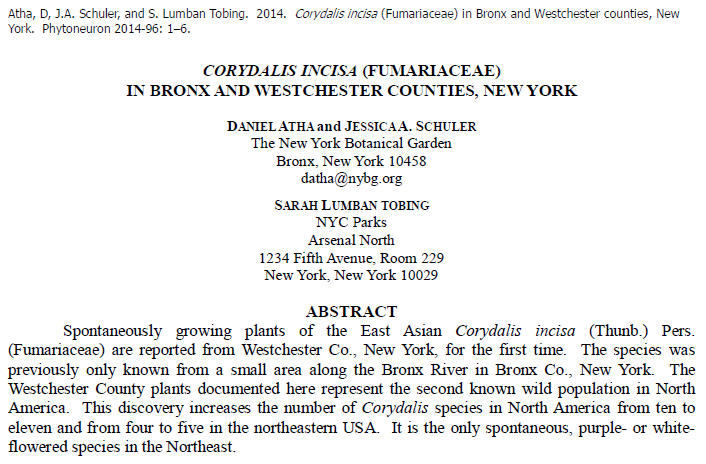 The New York Botanical Garden is collaborating with local organizations to manage the threat from Incised Fumewort. Currently there is no published information available on how the species arrived in this country, how quickly it spreads and how it can be effectively managed. Addressing this need, the Garden is working to provide science-based data on taxonomy, distribution, growth habits and ecological parameters to land managers in the New York City Department of Parks and Recreation, the Bronx River Alliance and the Westchester County Parks Department. 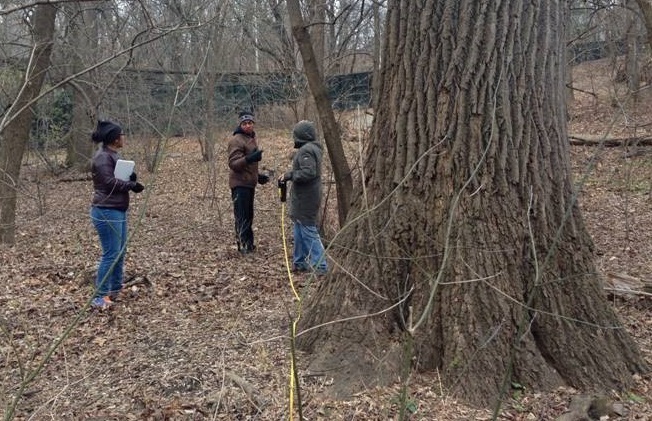 The New York City Parks Department recently completed a pilot eradication project in Bronx Park, just north of the Garden. 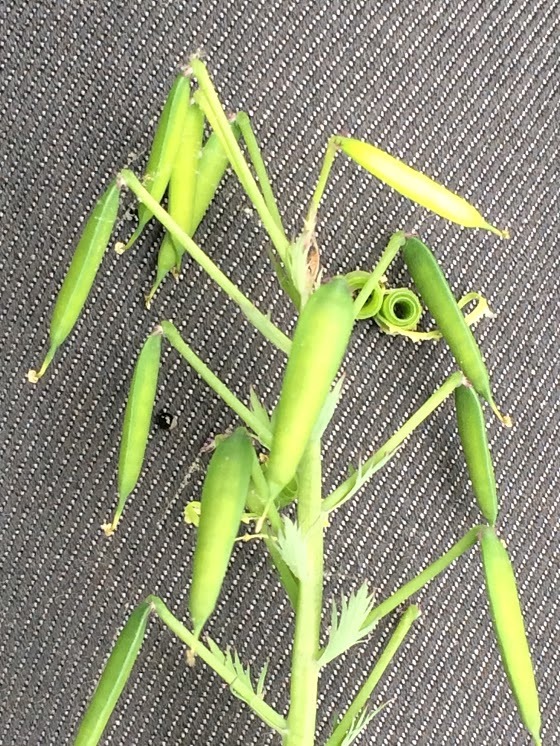 Results from this study will be used to inform future eradication protocols. Citizen Scientists Collecting Data | Photo by Damon Little | Students from South Bronx Lincoln Hostos Science Academy collecting data on the distribution and spread of Incised Fumewort. Students supervised by Allison Granberry and Damon Little. | East Bank of Bronx River, on the grounds of the New York Botanical Garden. Garden scientist Damon Little is working with South Bronx Hostos-Lincoln Science Academy teacher Allison Granberry and her students to use DNA barcoding to determine how far Incised Fumewort can disperse. The students are collecting soil samples at regular intervals from a known population and grown under controlled conditions replicating what happens in nature. 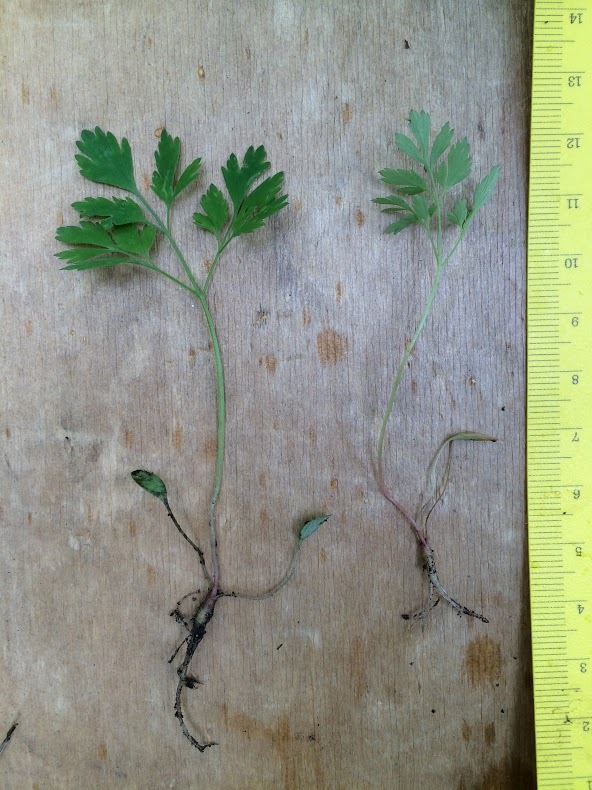 Genetic material is collected from the germinating plants and compared to known DNA profiles for Incised Fumewort. In this way, the researchers will have quantifiable data on dispersal density as well as maximum dispersal distance. 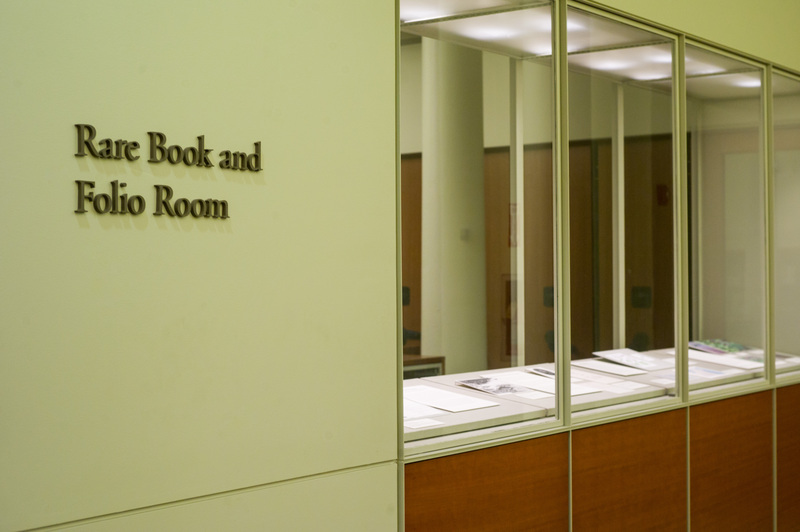 Selected images from the 2015 display in the LuEsther T. Mertz Library. 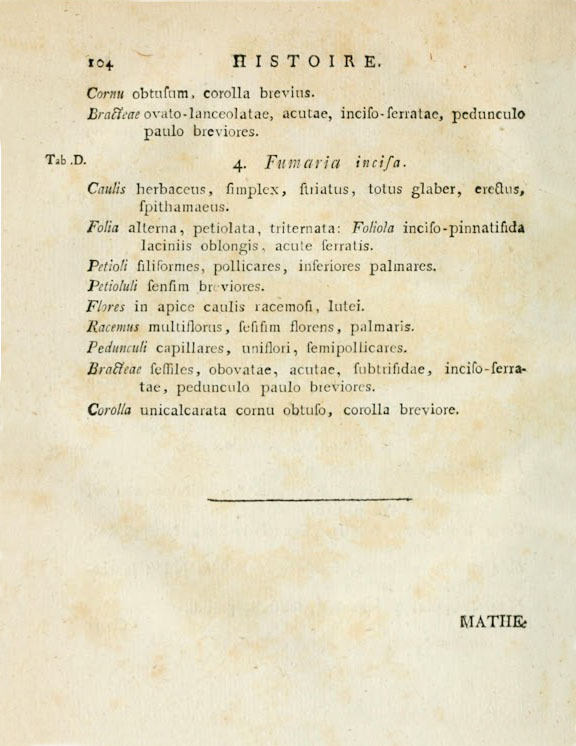 The content of this guide was generated through a collaboration between the staff of the NYBG Science Department and the staff of the LuEsther T. Mertz Library. 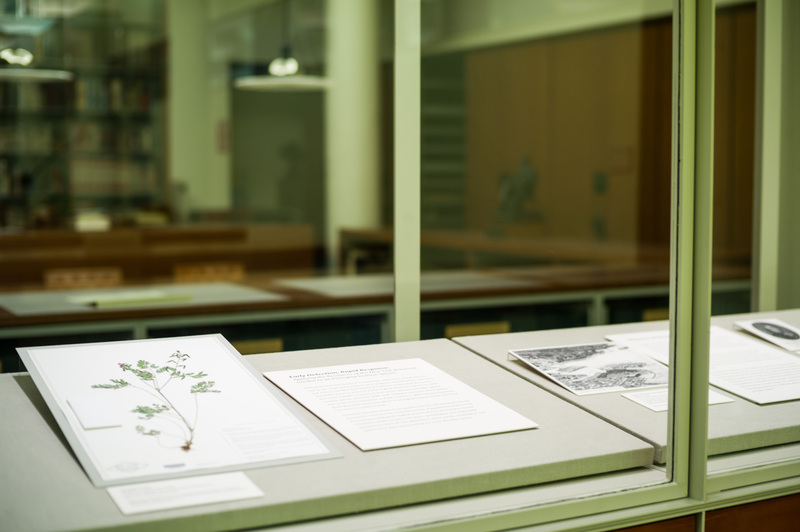 The exhibition upon which this guide was based, "Early Detection, Rapid Response: Applying the Resources of the New York Botanical Garden to an Emerging Invasive Species" is on display at the Mertz Library from November 1st, 2015 through February 29th, 2016.